Are you looking for a nice addition to your room or living area? 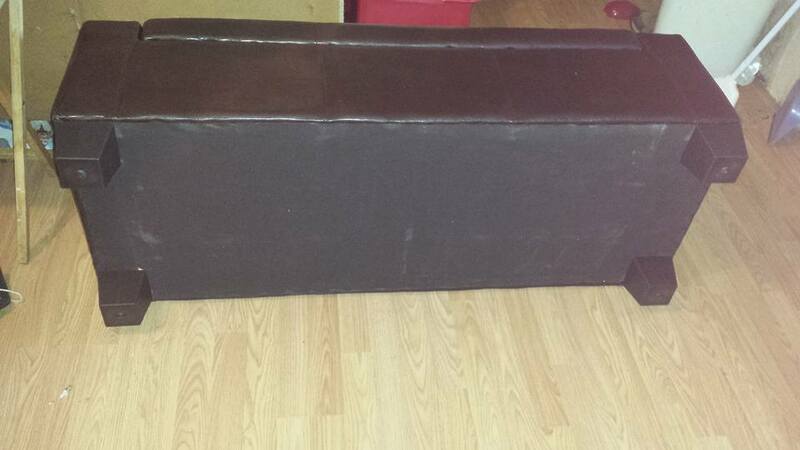 I just love this Ottoman already and it just got here about two hours ago or so. I wasn't sure if I would need my husband's help or not to assemble it but it turns out all I had to was twist the peg legs onto the bottom of it. It took no longer than three minutes to do! It comes in a nice large box that's easy to open. This is a great size for a good size bedroom or living room as it's large in size. 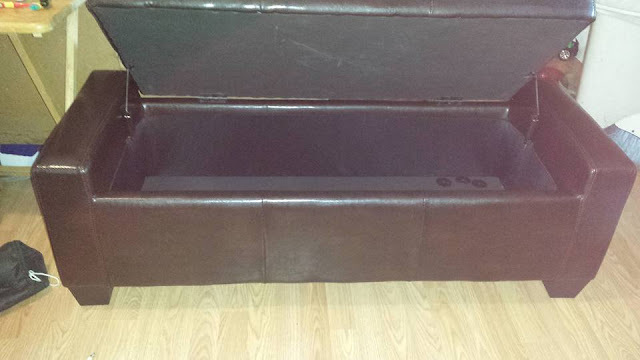 I decided to place it in the living room and use it for seating, as well as storage for odds and ends and small toys. I love this Ottoman and how nice it is! 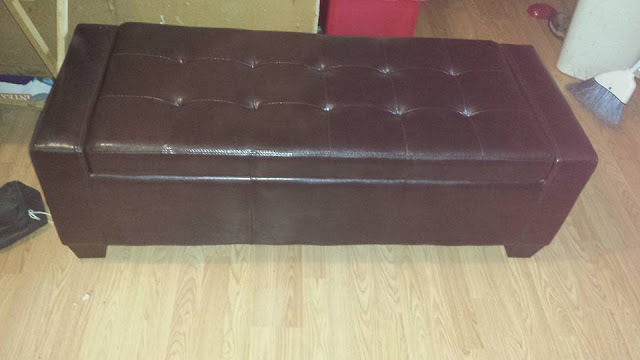 This is a leather Ottoman and is rectangular in size. It's very comfortable to sit down on which is great. When this Ottoman is opened, it has metal child safety henge lid which I really like. It's very convenient as a mom of four, who three of them like to open and close things often. It has a weight capacity of 440 lbs! The weight of this Ottoman is 32 lbs.